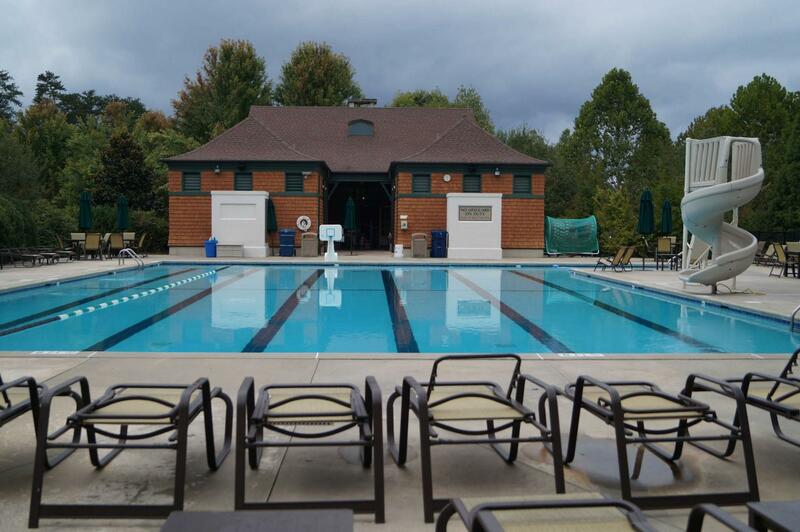 The pool will be open every day from Memorial Day Weekend through Labor Day Weekend (weather permitting). In 2019, we will also keep the pool open for 2 extra weekends (but not week days) after Labor Day. The extra hours will be 3pm Friday to 8pm Sunday. All adults must show ID upon entering pool every time. A picture of ID on a cell phone is allowed. Children age 14 and over may enter the pool unaccompanied, provided they have valid ID (see below). Children under 14 must be supervised by an adult at all times. A child who is a resident and is 14 or over may come to the pool without an adult. 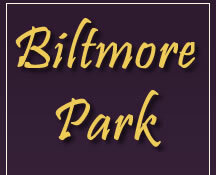 A Photo ID with a Biltmore Park address is required for admittance; no exceptions. Their parent or guardian must have signed the Waiver of Liability and emailed it to the Property Manager. For children who do not have a driver’s license/permit, a Biltmore Park Pool Pass must be purchased at Printville, located in Town Square. The child, along with one adult parent should go to Printville and show proof of residency (Parent’s photo ID) and bring along a passport style photo of the child. These IDs will cost $21.57 per ID. This is ONLY for children 14 years and older who do not have a driver’s license or permit. A copy of a passport is also acceptable identification. In order to care for a younger child/children at the pool, the caregiver MUST be eighteen (18) years or older. A caregiver (grandparents, nanny, babysitter, etc.) may bring the resident’s child/children to the pool and may use the facilities while accompanying the child/children. Please notify Management of caregiver details in advance; the caregiver must sign the Waiver of Liability. Residents (18 years old and older) may bring up to 6 guests to the pool. There will be no guest passes required. Upon arrival at the pool, residents and their guests MUST check in with the Pool Manager. Photo IDs with current address must be presented EVERY TIME, no exceptions. Even if you go to the pool every day and you know the employees well, you and your guest MUST bring a picture ID every time, or a photo of it on your phone. All guests will be required to sign a “Waiver of Liability” upon arrival. In mitigating circumstances for out-of-town guests, more than 6 guests on a single day must have prior approval from the Property Manager via email. Minor children are not allowed to bring guests without an adult. Any abuse of the check-in policy or of the guest policy may result in the resident and their guests being banned from the pool. In event of thunder or lightning in the area, the Pool Manager will suspend swimming and may clear the pool deck. The pool will be closed for 30 minutes after each event. After 5pm if the weather continues to be unsuitable for swimming, the pool will be closed for the remainder of the evening. Children must wear a swim diaper AND plastic (vinyl) pants in both the large pool and the baby/wading pool if they are not reliably potty-trained. Potty incidents will result in a $350 cleanup fee from the pool management company, possible fines of $500, and possibly being banned from the pool. If your child or your guest’s child has an accident in the pool or on the pool deck, please notify the Pool Manager immediately. Managers will only tend to accidents in the pool, and will implement the necessary procedures to clean and purify the pool. Any accidents occurring on the pool deck are the responsibility of the parents/caregivers. The Manager can provide you with cleaning supplies, but they are not responsible for cleaning up accidents outside the pool. Management and the Association membership cannot tolerate preventable accidents. One accident can ruin everybody’s visit for up to a full day. Remember the rule: no plastic pants, no pool. SWIM-AT-YOUR-OWN-RISK. No lifeguards on duty. Children who are not capable swimmers MUST wear a Coast Guard approved flotation device. Inflatable water wings are not sufficient because they can deflate. Pool Manager has the authority to discipline swimmers and may address behavioral concerns within their best judgment and sole discretion consistent with pool rules. Additionally, the Manager on Duty has the sole authority to remove or ban anyone from the pool for any reason at any time.